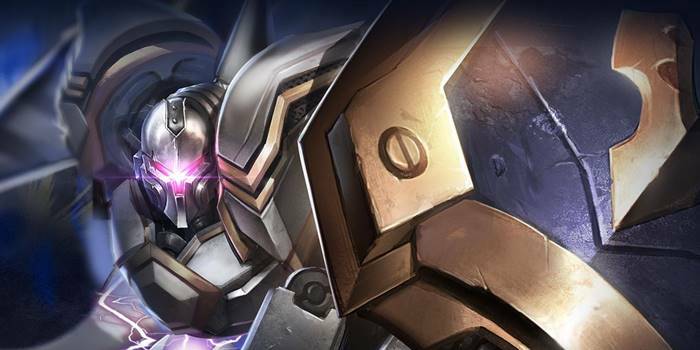 Omega Item Builds Guide for Arena of Valor (AoV). Each build is geared toward a different play style, so choose one that fits your personal preference. These items are necessary in order to play Omega optimally. Only diverge from a core item if you are a very experienced player or you have a very good reason for doing so. Mantle of Ra Mantle of Ra both bolsters the wearer’s armor and attack power, both of which very useful to Omega. While it typically wants to build up its survivability, additional attack power will help it demolish towers. The passive burn that the mantle provides also synergizes will with Exterminate. The Aegis Offering some nice defensive stats and the ability to spam abilities more frequently, The Aegis is an amazing pick up for Omega. The passive it provides will assist him when attacked from afar, slowing enemies and making it either easier for Omega to escape or approach and engage. Shield of the Lost Shield of the Lost is great for heroes who get into the thick of team fights. The aura it provides slows the attack speed of nearby enemies, so is a great way to lessen the amount of damage your team receives. The shield offers the wearer large amounts of armor and health, great for both tanking enemies and sieging towers. Gaia’s Standard Gaia’s Standard is a great defensive item, offering magic defense and health. The restoration it provides is a great way for Omega to sustain itself, both increasing its survivability in team fights and giving it the ability to gain some net HP when taking low amounts of damage from minions or monsters. The movement speed boost goes well with Guardian Mode, allowing Omega to very quickly zip around the map. Medallion of Troy A staple item against heavy magic users, Medallion of Troy grants a shield every 18 seconds that blocks magic damage. It additionally provides a number of great stats; large amounts health, magic defense, and cooldown reduction making the medallion a great choice overall. Hyoga’s Edge Hyoga’s Edge is a good choice when focusing more on teamfights than split pushing. The slow and speed it offers will make it very easy to stick close to enemies or prevent their escape. Spear of Longinus An all around great hybrid item, Spear of Longinus can offer a lot to Omega. The armor shred will help him push through enemies as well as weaken them for his allies. The attack, armor, and cooldown speed are all also very beneficial, especially when pushing down towers. As enemies can only read 5 stacks of armor shred, perhaps give this a pass if 1-2 or your team mates have also picked up the spear. Gilded Greaves Gilded Greaves is a very safe pick when upgrading boots, the resistance extremely useful on pretty much everyone. This is true on Omega as well, it reliant on its movement speed boost to keep up with foes and hs skills for damage. Sonic Boots If the enemy has a lot of auto attack oriented heroes and physical damage, Sonic Boots is the way to go due to the armor and attack damage reduction they offer. Focusing completely on buffing up its defense, this build turns Omega into a durable frontliner. Mantle of Ra and Frost Cape offer Omega a bit of offensive potential, and Frost Cape will help it control enemy movement, but its main role here is just to sponge up damage for the enemy damage dealers. The Aegis, Mantle of Ra, and Frost Cape will toughen Omega up to physical damage while Gaia’s Standard and Medallion of Troy let Omega deal with any magic damage that comes its way. This build is much more offensively oriented, building up Omega to quickly clear minion waves and tear down towers. Hermes’ Select and Gaia’s Standard provide significant speed buffs to help Omega move between lanes and to team fights between lane pushes. It will be able to do significant amounts of damage to towers with help from both Mantle of Ra and Spear of Longinus. Items that increase attack power while also bolstering its defenses are a great fit for Omega. Finally, Hyoga’s Edge will enhance the robot’s defense while making him extremely hard to escape from. In this build we lean much more heavily on aggressive items so that Omega can rip down towers extremely quickly. Between its abilities and normal attacks, any tower Omega gets in range of won’t stand a chance of survival. While able to do a lot through pushing, this build lacks when it comes to team utility and survivability, so keep in mind that it won’t be able to stand up to enemy heroes as well with this build, even if towers are shivering in their foundations.